The Portfolio Committee on Water and Sanitation met with the water agencies that fall within the ambit of the Department of Water and Sanitation. Although the entities had clean audits and sound administration, there was apparently too little money for nine Catchment Management Agencies. Based on a recommendation and an allocation letter from National Treasury, the Department had made the decision that they would reduce the entities to a single entity. A further concern was the strong role that the agencies were playing in innovative development, although uptake of new ideas was slow. The New Normal in the country was that no municipality could have any doubt about the seriousness of the water situation. The Department of Water and Sanitation had apparently known about the possibility of the current drought since 2002. The situation was extreme. The average use of water per person in South Africa was 235 litres of water per day, much higher than the world average of 173 litres or the 87 litres per person per day that was the current maximum use in Cape Town. There was too little water as it was. Public behaviour needed to be institutionalised urgently. It had to be a personal moral choice for people to use water responsibly. The country had the ability to be much more water efficient. The Chairperson of the Trans-Caledon Tunnel Authority argued that, like Arabia and Israel, which were even more water scarce, the state needed to have the technical capacity in its own ranks to manage the situation. The Water Research Council said that a private sector around water was needed as was the case in Singapore, Denmark and Norway. As far as legal matters were concerned, the Water Research Act had to be amended in terms of its definition of piloting. A new version of the Amendment Bill needed to be offered as the current one only talked to water research and not sanitation. A new toilet, the Arumloo, had been developed by the Water Research Council and used only 500ml of water per flush. Toilets using new “dry” technology were currently illegal in municipalities. There was concern about the overspending of billions. There was a perception that the Department and implementing agents were discouraged from using innovations because “business as usual” was better for the pockets of consulting engineers and construction companies. On matters of money, the CEO of the Inkomati-Usuthu Catchment Management Agency shared the success that they had had in arresting Municipal Managers of Municipalities who did not pay them in time. Other concerns for the Committee included the rapid firing of officials. Coupled with the dismissal of the Director-General of the Department of Water and Sanitation, three Deputy Director-Generals had recently been dismissed, including the Deputy Director-General for Bucket Eradication. Initial studies had advised against the building of a dam for the Umzimvubu water project in the Eastern Cape as water would be very expensive, but it seemed the Minister had already sourced funding in China for the project. The Chairperson delayed the meeting for a few minutes as more than four members of the Committee had to be present for the meeting to start. The Water Research Commission (WRC) was the first to present. All were welcomed and the Chairperson said the Committee had had a very good session the day before, where ample of time had been allocated to get into areas of information that the Committee wanted to get into. He explained that the meeting that day formed part of the cycle that Parliament went through each year with Annual Reports. Apologies had been received from the Minister who was attending Operation Phakisa in Durban and the Deputy Minister who was off sick with a doctor’s letter. The Acting Director General (DG) of the Department of Water and Sanitation Water and Sanitation Water and Sanitation (DWS), Mr Sifiso Mkhize, introduced the members of his team and handed over to Mr Dhesigen Naidoo, Chief Executive Officer (CEO) of the Water Research Commission (WRC) to present. The Women in Water Empowerment Programme that was launched by the Minister on 14 October 2016. A Biomimicry Water Tool had been developed. The tool was a useful reference for all biomimicry research and development and included an innovation for addressing challenges in the water sector in a sustainable manner. An example was a toilet, called the Arumloo, that mimicked the way water travelled in nature (a vortex) and used 500ml instead of six to nine litres of water to flush. The WRC was also looking at mangroves as part of research on the topic of desalination. The Water Research Council said that a private sector around water was needed as in Singapore, Denmark and Norway where the shift towards a new water paradigm was so successful that the services and products were being sold across the world. The Chief Financial Officer of the WRC, Mr Fazil Ismail, presented the Audit Outcomes. The actual water research levy income for the 2016/2017 financial year was lower than the WRC’s levy income projections. The lower consumption volumes, mainly impacted by the drought conditions experienced in the country, meant lower levy income. The drought had had a bigger impact than originally anticipated. An investigation into the R21 687 fruitless and wasteful expenditure incurred had been concluded. Mr Naidoo said disciplinary action had been taken against staff members who had missed their flights and incurred fruitless expenditure. R7 239 was recovered from them. In closing he said that as part of the WRC’s corporate social responsibility the WRC behaved ethically and was contributing to economic development while improving the lives of their employees as well as the community, and the environment in which they operated. The WRC were also paying attention to their carbon budget. On the topic of research and the slogan: “publish or perish”, the Chairperson asked whether research actually added to anything on the ground. Ms H Kekana (ANC) wanted to know how women in rural areas, who needed access to business opportunities, would benefit. Mr L Basson (DA) congratulated the WRC. The day had started on the right track. The day before the Auditor General had said: “Do, check and act”. All the boxes had been checked with the WRC. Did the WRC put out tenders? Why was it so difficult for Departments to buy into new technology? Were consultants perhaps influencing the matter? He expressed the wish that the DWS could get on the same track as the WRC because the Department would then do more with less money, instead of doing nothing with all the money they got at present. Ms T Baker (DA) said that the WRC was the saving grace of the DWS. She asked how the water research levy was calculated and who was billed for that? Mr T Makondo (ANC) asked how often the WRC advised the Department about droughts and weather changes. Who was auditing the WRC and when were they going to be audited by the AG? The Chairperson joked that it was KPMG, at which laughter erupted. The Chairperson asked the Acting DG about the legislation (amending the Water Research Commission) that had collapsed and asked for an update on that. Without wanting to spoil the accolades, his main concern again was the slogan “publish or perish”. Did that speak to the revision of programmes? The country still had the sanitation design of the old Apartheid regime flush toilets whilst innovation was out there. The country could save a lot of water. Was the DWS making use of innovations? The Chairperson wanted to guard against becoming academic. Were socio-economic problems being resolved? To do more with less (which Mr Basson had referred to), innovation had to speak to cheaper and more economically sound products. The Chairperson was not sure, in the context of research, what a small, medium and micro enterprise (SMME) was. Was the WRC perhaps dealing with institutions that did research? If Bloemwater was off the grid as it ran on conduit power as part of experimentation with small scale hydro, did that refer to underground water? He was advised that the point referred to off the electricity grid. The Chairperson asked if the WRC is also off the grid. Was the Department of the grid? It should start at home. Had budget cuts had an effect on WRC? Mr Chauke asked which directorate in the Department the WRC worked with. He wanted to better understand the relevancy of the WRC in the Department. The chairperson of the WRC Board, Ms Nozibele Mjoli, thanked the Chairperson and the Committee and answered that the role of WRC was to do research and provide guidance, and that they worked closely with the directorate that dealt with water guidance management. The WRC was a research organization. They provided solutions but it was up to the DWS to implement. Solutions for sanitation that used less water had been piloted but the challenge was getting decision makers to adopt the new way. There seemed to be a belief that those solutions were for poor people, not the affluent. Poor people rejected innovation whilst the affluent could afford to pay for water and continue in their old ways. Parliamentarians could assist with legislation that new houses being built consider new technology. The Arumloo could make the daily water allowance in Cape Town of 87 litres per person per day, go a long way with its use of much less than 9 litres. The WRC could show that it worked, but it did not have the power to force the change. The Women on Water Programme was still being piloted and involved women from all nine provinces. Mr Chauke asked what the benefit of an entity was when it was a fact that some of their products were sold overseas instead of being used in South Africa. Sometimes entities just existed for the sake of existing. The Chairperson said that there was a chance to be more practical as there was a current case in point. The Department was still stuck with the bucket eradication programme, whilst there were new innovations. Instead of tendering and wasting resources the Department should take the WRC to Amatola and the Free State. The Committee instructed the Department to make use of the innovation in dealing with the challenges that related to the bucket eradication program. As he was speaking, the Chairperson was made aware that the Department was still battling with procurement processes. DWS should be practical in order to eradicate poverty. The DWS had a construction unit, but nobody knew what they were doing. Where was the unit currently active? What stopped the DWS from simply going out to Amatola and the Free State? The Chairperson wanted the Department, instead of the WRC, to respond. Mr Mkhize answered that the Department worked very closely with the WRC and that they took their work seriously. There was a branch in the Department, Regulation and Oversight, that looked at their work. The WRC also worked with the Planning Unit. As far as bucket eradication was concerned, the Department was looking at the solutions and was working with Co-operative Governance and Traditional Affairs (COGTA) and specifically the Municipal Infrastructure Support Agent (MISA) to make sure there was support as outstanding work was rolled out. The DWS had been advised on a number of innovations, but it needed funding, which was a challenge. In terms of legislation, the Department was reviewing two pieces of legislation to combine them. The process had gone through the clusters and it would go to Cabinet. Mr Chauke said the Acting DG could be assured that the Committee was instructing the Department to work with the WRC to eradicate buckets. He asked why the DDG responsible for bucket eradication had been suspended. How much had been spent on bucket eradication? Was it true that over a billion Rand had been spent on that? How could it be said then that there was no money to implement innovation? The instruction to force a working relationship between WRC and DWS had to be an instruction. It had to be recommendation from the Committee. The Chairperson said the entities had been warned to expect the unexpected when submitting their reports, but that he was aware that they were soldiers that were ever ready. Mr Naidoo wanted to add two notes to the important discussion. The receptiveness of DWS had improved from a year ago and there was more frequent liaison and participation. Secondly, the WRC was aware of the constraints of DWS, for example, the regulatory constraint regarding new sanitation standards. The WRC, together with their counterparts in Singapore and America, was working on developing new ISO standards. Toilets using the new “dry” technology were currently illegal in municipalities. Mr Naidoo added that a new version of the Amendment Bill (the current one only talked to water research and not sanitation) needed to be passed. An upgraded version needed to be tabled by the Minister. Hopefully, the process would be stimulated and moved on. The WRC was involved in the War on Leaks project, but the involvement had to be increased. Training new plumbers was good, but the next step, i.e. getting new plumbers to use new solutions, was better and getting the new plumbers, with new solutions, to develop new enterprises was even better than that. There was a proposal within the WRC on how to use funding, that had already been obtained, for such activities. The crux of the new technology system was decentralisation and that was a different skill to manage. People needed specialised training to operate new systems. Mr Naidoo said that there was a New Normal which was that all had to work harder at the above-mentioned issues. He stated that municipalities that were drilling boreholes without using the geological map, had done so in desperation. SALGA, as part of the municipal benchmark initiative, was repackaging information in interesting ways make sure municipalities worked according to the best available knowledge. An example of that was examining how India had eradicated the bucket system through funding from the Gates Foundation. The WRC was seeing movement with regard to interactions with COGTA and the Department of Rural Development and Land Reform as well as with the DWS, but the Committee’s sentiments regarding the matter were appreciated, because incremental movement was not enough. It was not useful to have the solutions at hand and not use them sufficiently. Regarding Acid Mine Water, the high-density sludge solution that was being used currently was an expensive solution that required a lot of energy. There were six better solutions and the DWS could not get stuck with being forced to continue with a solution of past. Hopefully, by rolling out new solutions, investors who wanted to create job opportunities, could be lured. The new paradigm of water management needed much more effort around harnessing the private sector which did not exist as yet in South Africa. Countries, such as Singapore, Denmark and Norway, that were making the shift towards a new water paradigm were selling their services and product across the world. South Africa needed to have that level of industrialisation in the country’s system. A good investment strategy around water could organise for the country to be in that space. The acceleration that the Committee was demanding was in the right time, space and spirit and the WRC would facilitate potential rapid mechanisms together with the Department. The DWS received one to three advisories on various topics every month from the WRC, the Agriculture Research Council (ARC) and the South African Weather Services (SAWS). Medium and longer-term forecasts needed to be added. The time between making decision and having a solution was five to seven years, as it usually involved construction. No municipality in the country could have any doubt about the seriousness of the water situation. It was extreme. Even more advisories could go out in the future. There was an interesting debate in country about the slogan “publish or perish”. It was thought that the people doing the high level academic work and doing the solutions work were different people. When Mr Naidoo presented the problem to a South African biologist, the 2002 Nobel prize in Physiology or Medicine laureate, Mr Sydney Brenner, some years ago he had said that, when mapped out, statistics at top universities showed academic publishing and highly productive solutions to be exactly the same. The WRC demanded specifics as to where knowledge would be used in project proposals. The average use of water per person in South Africa was 235 litres per day, much higher than the world average of 173 litres. The country had the ability to be much more water efficient, but it needed to be institutionalised. It had to be a personal moral choice for people. The WRC was not off the grid. It was situated, in fact, in a five-star building, but if Parliament gave them the budget they could design a whole campus that could be completely off-grid. They would be the calling card of what was possible. Mr Ismail stated that they had an Accounting Officer who ensured there were no deviations. Regarding tenders there was a governance structure, and regarding timeframes and results, an Evaluation Committee was in place. The process and procedures were not different from other departments. The determination of the raw water consumption levy was based on budgetary requirements and formed after consultation with the Department and approval of the Minister of Finance. Levies were paid by Water Boards, municipalities and distributors of water. The WRC was audited by the AG. Lastly, the Chairperson asked the Acting DG if it was perception or a fact that DWS and implementing agents were discouraged from using innovations because “business as usual” was better for the pockets of consulting engineers and construction companies. Mr Mkhize argued that it was a perception. He said that there was strong chain management regarding the implementation of new innovation and said that if the DWS could not afford old technology and was forced to slowly adopt new innovations, but it would be a process. Mr Chauke still needed a response on the suspension of the bucket eradication from the DDG. It was important to get that detail and it could not be left at rhetoric. Executives had to be held accountable. In the next round the Department and the WRC would meet with the Committee alone. Overspending of billions could not become normal - something that had never happened in the beginning of his years in Parliament - and oversight had to be robust. Mr Basson said he did not buy the Acting DG’s answer and asked for examples of where new technology was used. He said he did not want the example of Richards Bay as he would use that example himself. The Department had paid around R300 million for a desalination plant in Richards Bay. In a written reply the Department had told Mr Basson they had procured services from local suppliers, which was true – they had used a local company for refuse removal. According to Mr Basson, the plant had cost more to import than a local company in Cape Town would have charged to produce it. He needed examples of where new technology was utilized for water purification or desalination projects in the past 12 months and said he could give examples to the contrary of where the Department still used brick and mortar. He said that in Maribeng, R280 million rand had been spent to get 20 mega litres but that the timeframe had increased by another year, resulting in an increase of costs. He had a quotation for the same size plant at R120 million from a South African company that manufactured packaged plants and exported to Singapore. Mr M Galo (AIC) said that on page 45 of the documents that the Committee had received, there was subheading “Community” that talked to sustainable interventions, but perhaps it was too general. Being from the Magadla Administrative Area in Matatiele Local Municipality, specifically the Lunda Location, he had never heard of any intervention of any sort by the WRC. People in rural areas were still being treated as second class citizens. Nothing in the report spoke about the rural areas. Even as the Committee and the Department were sitting in the meeting, there was no water in Mr Galo’s village. It was not about his village particularly, but about rural areas in general. What strategies were there to make sure even people in rural areas were benefitting from WRC research? Through a translator, Ms M Khawula (EFF) disputed that the DWS was working with WRC. The day before there had been no explanation given as to why DG’s were perpetually being suspended. The Committee was told that schools were allocated money but still there were no pipes for running water. The Chairperson said that question had been coming for quite some time but perhaps belonged better to the discussion the day before. Only the Minister could answer for the DG. There was an interesting case regarding the suspension of the DG of Home Affairs. Why were the DDG’s in the Department suspended? The Acting DG answered that the three DDG’s had been suspended for the lack of performance in line with their performance contracts. Because the cases were ongoing, each and every charge could not be elaborated on. The DDG for bucket eradication had not completed his set targets and there were issues relating to irregular expenditure. The suspension of the DG was coupled to the suspension of the DDG’s. In time, the Acting DG would report the status of the cases to the Committee. Regarding bucket eradication, an agreement had been made the day before to discuss that in a meeting tabled for the following week. The Chairperson said that a full discussion, also regarding the suspension of the DDG’s, would be held the following week. Mr Basson said that the day before the report had shown that the DDG had performed 100%. He agreed with the full discussion the following week and made mention of the former DDG for Policy and Regulation, Mr Anil Singh, who, according to information he had received from another official, had not been formally charged and apparently had been chased away when he went to the office. If that was the case, the Department would lose in court. Mr Chauke said it should not end there and the suspended DDG’s might have to be invited to the meeting as the Committee did not know why they had been suspended. The Chairperson confirmed that there would be a follow-up meeting and said that correspondence on the suspension of the DDG’s and the previous DG should be provided by the Department. Mr Naidoo responded to the question about rural investment by saying that WRC spent 50% of their budget on rural-based projects and suggested a brief report be submitted in that regard. The Chairperson thanked the WRC and congratulated it on a job well done. In her opening remarks, the chairperson of the Trans Caledon Tunnel Authority (TCTA), Ms Monhla Hlahla, explained the state they had found the TCTA in. She spoke against concentrating power in one individual. To change a culture took a lot and challenges had to be shared. Because the TCTA had to wait for a directive from the Minister, they had found it incredibly hard to plan long in advance, for example to save the water from oncoming storms. The country had to be mobilised. All South Africans had to move together as the next years would not be easy. She said she loved the country and wanted to add value. The combined capacity of all Acid Mine Drainage (AMD) Treatment Plants was 234 000 cubic meters per day. TCTA tariffs (Capital Unit Charge received during the year) amounted to R5 380 million. The total increase in transfer capacity was 327 million cubic metres per annum. The increase in yield in all systems was 1.25 billion cubic metres per annum. Fiscal funding of R246 million had been received during the year. Ms Halima Nazeer, Chief Financial Officer (CFO), TCTA, said that an unqualified report had been received. 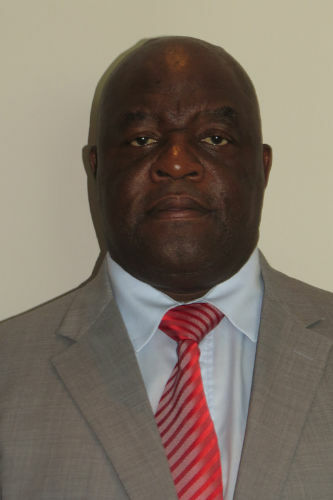 The amount of irregular expenditure incurred was R49 468 million and included the irregular appointment of three executives, the appointment of a forensic auditor, the contractor for the operation of the Central Basin Acid Mine Drainage Plant, the provision of disaster recovery services, international travel and changing criteria during the evaluation of a photocopier tender. Fruitless and wasteful expenditure of R202 499 was incurred in 13 instances, including a contract that had been extended verbally and when not extended formally, had resulted in the employee going to the CCMA, as well as unauthorised data usage. Disciplinary actions were being instituted. Ms Hlahla added that when management looked at the pie chart for the planning area of the Vaal River System everything had been combined, making it difficult for the TCTA to account for the tariff system. It was not possible to see from what system the water came. The Chairperson said he thought the TCTA would conclude the presentation with the configuration of the Vaal River System. Ms Hlahla shared another challenge. The Committee would notice that the TCTA had said that they were responsible for the funding of projects. However, when infrastructure had been built, the Department became the owner and was responsible for maintenance and refurbishment. The assets lay with the Department but if they were with TCTA, and if they were well maintained, water might be bought for other regions. This would require coordination between the Minister and Parliament. The Chairperson thanked the TCTA which was another entity with an unqualified report, despite not having a Board for eight months. The point was raised about the transparency of tariffs. Was the Acid Mine Drainage danger real or fictional? The story had been coming for some time and there was still only a short-term solution as the Vaal River system was not enough for dilution. What supply of water, and what demand of water, was there in South Africa each day? Mr Chauke said that the chairperson’s opening cry made the TCTA the second entity in the Department to make that cry. He found it difficult to find the established link between the Department and the entities. Perhaps the DWS should talk to the Committee about how they understood the role of their entities. The relationships had to be forced. He asked for more information about the supply chain system. How could the vision of innovative approaches be embraced? The DWS would have to take up its role of coordination. Mr Basson said the mention of a Water Master Plan was crucial. There was no Master Plan, not even a draft, to take the country forward. The Department and the entities worked on directives from the Minister. If the directive did not come, there was no work to do. A lot of projects, like at the Crocodile River and the Lesotho Highland Scheme, were being stalled. It had been mentioned that the DWS was not happy with preliminary tenders, but, in fact, it was the Minister who was not happy. Another problem that had been mentioned, was that the water trading entities did not control the funding. Last year there had not been enough funding and the Reserve Bank had to intervene so that the TCTA’s reputation and borrowing power was not downgraded. Although the TCTA borrowed the money and built, they had no control over the maintenance or income of projects. Was there another model that the TCTA would like to present? In the current year there was no money and therefore no projects to run. Lastly, he asked if there was any instance where the TCTA had been involved in plans that should have started years ago but which had not started and, if so, why had they not started? Ms Baker said the day before the Water Trading Entities had raised a problem: they got the money from TCTA to implement the projects and then there was a block in the form of the delay of the implementation of projects, but the Water Trading Entities had to pay. Were those delays impacting on TCTA’s recovery and if so, by how much? She wanted more details on the Umzimvubu project as initial studies had advised against the building of the dam as the water from there would be unaffordable. How much input in decision making did the TCTA have in the projects that were implemented and funded? There was also concern over the Olifants River Water Resources Development Project as the Tusi pipeline ran parallel to an existing pipeline. Was it not more viable to use that? Ms N Magubane (ANC) congratulated the entity on the audit outcome. She said everything had a beginning and end, on different dates for all, like birth and death. A space was created when a person left it and then, when a new person entered that space it could be said that things that had been one way, were different. Ms Magubane said she did not believe in a person who started by complaining. As a woman herself, she believed that an effort should be put in before complaining. Had the TCTA ever checked to see if the Department would assist with their problems? The TCTA should sit down with the Department before complaining to the Committee. Mr Galo said he was covered by his colleague in the DA but said the Committee should guard against a situation where people were made political zombies. It was unbecoming how human beings were being frustrated, and entities needed the intervention of the Committee. Ms Kekana asked what was causing the delays on payments and what were the implications for the TCTA’s operations? Construction involved large sums of money. How did the TCTA deal with corruption in construction companies? The Chairperson asked the Department to comment on the matter of an asset being set up by the TCTA but then going onto to the Department’s balance sheet, instead of counting for the TCTA and enabling them to borrow money. Did the TCTA have the capacity to manage AMD or was the TCTA sourcing it elsewhere? The Acting DG answered that in the current model, assets were held by the Department but there was a discussion underway. The Department would look at the role of the TCTA and investigate whether assets could be placed with entities to yield more value for the country. Ms Hlahla said that well-maintained refurbished assets could have great value for them. The TCTA had debt and they had to plan to settle that debt. The reason she mentioned the TCTA’s inheritance was because most of the current audit investigations were concerns from that period. A Board member responsible for audit in the Board, and who had come late because of attendance at an Eskom meeting, said the TCTA was disappointed to have had irregular and fruitless and wasteful expenditure. A big portion of that related to an AMD facility contract that had extended beyond the period it was supposed to. Immediate action had been to cancel the contract. To prevent things of that nature, supply chain management processes had been tweaked. Investigations were done and a report would be finalised soon. In the meantime, the procurement manager had been suspended. All the procurement elements had been looked at and the CFO would explain how that had happened. The Audit Committee was taking the matter as serious and was disappointed. At the end of September, the TCTA should have received R2.3 billion from the Department. The lack of an appropriate cash flow impacted on credit ratings and liquidity. The ripple effect ran all the way to the State and to National Treasury. In the TCTA model there was not a huge liquidity risk premium built into the tariffs. He was not aware that the TCTA had been bailed out by the Reserve Bank. There was discussion with the Department for solutions to some of those issues, for example, by creating a trading utility. Mr Radzuma said they had received the directive regarding Uzimvubu and there had been discussions with the DWS team and National Treasury. There were two phases; the first being the social scheme that had to be funded. Discussions were still ongoing on phase two. The skill and capacity on the maintenance of AMD was not within TCTA. They had to get a service provider and they had been challenged by the Board to keep the capacity within the TCTA. The term for the current service providers had ended the previous month. A tender process had started and the plan was, in that period, to establish its own capacity. Ms Hlahla said the reasoning for the state to have the technical capacity in their own ranks was that in the Middle East, Israel and Arabia, for example, where water was even more scarce, they had money to figure out their problems. The capacity for desalination and the centre of desalination should be upfront in the TCTA and they should start building it. Hopefully management would see a future in which the country desalinated more. Mr Basson said that came back to what the Chairperson always said about doing more with less. When work was done internally no-one had to make a profit. That was why the DWS had a construction unit – but they were being paid to do nothing, as seen with the Clanwilliam Dam. There would always be work for contractors but there were some projects that the DWS could do for itself. He liked the thinking that the Board brought to the table and hoped that the Department would listen to the chairperson. She was bringing outside experience from the private sector into that sphere of government and her thinking was the same as that of the Committee. The DWS had to take hands with the private sector as well. If everybody was on the same track, there would be great prosperity in water going forward. Ms Hlahla said the Minister was being very encouraging to get the TCTA to think out of the box and had been extremely enabling on the matter. Mr Chauke asked what the view of the Department was on that matter. The WRC presented innovations, the TCTA was being innovative but all ended in conflict with the construction unit that received all the money and that now needed a special investigation unit to see what it had done with the funds. He pleaded with the Acting DG to be on Board with them. Without water, Israel had created a system of water. There needed to be more discussion on the matter. Mr Chauke was passionate about leaving a legacy when the term of the Minister ended. The Acting DG answered that the first phase of the Uzimvubu River was a social project, and Treasury and TCTA were working on the plan of funding. It had been resolved that the fiscus needed to fund that scheme. Both the DWS and the entities took their marching orders from the Minister. Obviously, the entities vision had to be guided by the Department, otherwise there would be consequences. Various branches were following different programs and the Department, the Minister and the entities could not be doing their own things. The Chairperson said it would be difficult to find another time to deal with issues; specifically, Umzimvubu had to be dealt with. The DWS had gone to China to sign something there. Had there been an advertisement for procurement? Could the Committee get copies of the agreements that had been signed? Mr Chauke suggested that discussions should be formalized and written out, otherwise the Committee would miss out on information. The detail was needed. How much money was being talked about? Ms Baker said that according to the Department’s reports it was an estimated amount of R20 billion. At the last meeting, the Minister had confirmed that China was paying for the contract and the Minister had said that the Department was working on a 70/30 ratio. Was TCTA playing a role? What did the social scheme consist of? The CFO had said that R573 million had been spent against a planned R4 billion. Why was so much less money spent than planned? Mr Magubane suggested a study tour to China to implement what was seen there. Ms Hlahla wanted to highlight, on behalf of the Board, that they were still to receive management’s proposal and that they were still engaging. The Chairperson said there was a proposal to formally write about Umzimvubu. Was the Acting DG good with that? Mr Basson said he had the impression that the TCTA was still looking at how to fund the project whilst the Minister had already funded that via China. The Chairperson said it had to be an open bid and said that formal engagement on the matter would continue. Ms Nazeer noted that there were projects with significant underspending. The first was the second phase of the Lesotho Highland Scheme where tenders had resulted in a delay. The second was the AMD long-term where the directive had come later than expected. The third, to a lesser extent, was Mokolo 2, where the confirmation of specifics for the pipeline had also been delayed. She explained the revenue process to the Committee. TCTA built a model that was factored into the tariffs that the Department set out. The Department was supposed to pay the TCTA according to the full amount of water used and not according to what the Department was paid and that was challenging for the Department as they did not recover full amounts from municipalities. Ms Hlahla added that Treasury required ringfencing of TCTA tariffs. In the discussions, the advice from auditors was that alternative steps were needed for the level of sureness they required. Ms Baker asked how the amount owed by the Department came about when funds were ringfenced? The Chairperson also wanted to know what the market outlook was. Ms Nazeer said no bonds had been issued over the past few months in the Capital Market. For phase 2, they would go into the Capital Market Programme. The market was looked at to configure a funding strategy, but there was a reduced appetite in the market for State Owned Entities (SOE's). Ms Hlahla said the market’s view on SOE’s was negative and the debt they would usually get, was reducing. Mr Basson asked if the downgrade of the country's credit rating had had an impact on their bonds. Would the Lesotho project costs consequently be much higher? The Chairperson asked if any sums had been done in terms of reviewing initial costs. The Board member concerned with audit in the Board said that a credit downgrade affected only new bonds. Floating rate bonds were inflation linked. There was no doubt that there would be an impact on future capital raising activities. The capital costs for Lesotho Highlands 2 would be very high. Ms Nazeer said there were instances, as with funding received from the French Development Bank, that had loan covenants and if the country went down one more notch, the loans could be called in. Any future funding would be more expensive. Mr Radzuma answered that there was a directive from the Minister for the TCTA to deal with water augmentation in the Western Cape. He answered that there was program to test the WRC's new technology. Mr Basson said the drought had been predicted in 2002. The directive was late. He said that for the directive to clean Voёlvlei Dam, the money had been depleted in a week. The Chairperson proposed that when the Committee met with COGTA and the Mayors the following week, TCTA should be included. Mr Chauke wanted WRC to be present too. Ms Hlahla said the issue of long-term planning could not only involve the Western Cape. Other provinces, that do not make such a noise, should also be included. The Chairperson said TCTA and WRC would join them at the meeting. Mr Chauke said the Acting DG was present that day. Where was the Water Plan? The Acting DG answered that a dedicated team, led by Mr Trevor Balzer, was working on it. Through an interpreter Ms Khawula said she supported the previous speaker. Other MEC’s should also be present. The Chairperson said that by inviting them to the COGTA meeting, the process on involving all had started. After the break the Chairperson pleaded with the Department to remember that they were partners in the developmental agenda. The Committee had been made aware the day before of a trend to have only one entity instead of the nine Catchment Management Agencies. Members had been asking questions for months and it had never been alluded to. A DDG in the Department explained that the process for the review had started a year ago. Unions had objected and the Minister had set up an Internal Steering Committee. Internal agreement had not been reached. National Treasury said that there were problems regarding financial sustainability as things were at present. A task team and specialist help had been sourced to help with the design of a new institutional model. In the last strategic planning session held in June, the Department had decided to go for a single entity based on the recommendation and allocation letter from National Treasury. The Minister had signed the request on 2 September 2017. Inkomati-Usuthu had received a clean audit on its Annual Report and Financial Performance for 2016/17. No fruitless and wasteful expenditure had been incurred but a contract that had lapsed, was disclosed by the auditors as irregular expenditure. The IUCMA had collaborated with the operations committee to keep the rivers flowing during the drought. Through international collaboration with the Netherlands partners, the IUCMA had acquired the Hydronet Water Control Room which had been fully functional since March 2016. An additional three posts had been created and appointments made in the last part of the financial year. Successful completion of the groundwater monitoring project. Eradication of the license backlog. Drilling of two community groundwater boreholes for water supply. A collaboration with the South African Police Services (SAPS) had been initiated to address environmental crimes within the water management area, especially illegal sand mining. Ms Thembi Mbatha, Chief Financial Officer, presented the financial statement. Sound financial services were rendered as exemplified by the IUCMA checklist having been fully compliant with PFMA. In keeping with the spirit of PFMA, the IUCMA had timeously submitted the required financial performance reports. Regarding the verification and validation of water uses, Ms Baker asked how far in the process the IUCMA was and what the challenges were. IUCMA was doing such a good job, how were they feeling about the future with talks of a single entity? She asked the Chairperson if there would be a briefing on the matter. What would happen to the staff? Who would go where? A number of protected areas had been gazetted. Was the IUCMA listed as an interested and affected party in the case of the planned Mabola Mine? What effect, regarding supply and pollution, would that mine have? Who was the entity working with regarding the impact of Waste Water Treatment Works in the area and what action had been taken? Who were the main culprits? Ms Magubane asked if the clean audit was real? If it was real, congratulations. What were the criteria for the bursaries to the 14 workers? Mr Mthembu confirmed that the clean audit was real. Mr Gyedu-Ababio explained that every mine, especially coal, had an impact on the little water there was. The IUCMA was proud that the Nkomati Mine was paying into a rehabilitation fund monthly that was kept in a Liberty Trust and would be used for the rehabilitation after the mine closed. The main culprits of pollution from Water Treatment works were municipalities. IUCMA was resorting to interrupting supply until sewerage catchments were installed and that strategy had been successful. He answered that bursaries were given internally and externally. Ms Baker wanted an update on pollution in Assegaai River. Mr Gyedu-Ababio responded that it was better. Ms Kekana wanted to know what the impact of illegal sand mining was and how the DWS was addressing that? Ms Mbatha said that waste water rehabilitation had been budgeted for and that the funds would be recovered from the municipality. IUCMA was under new auditors, SAB&T, and, as they say, a new broom sweeps clean. IUCMA had a bursary policy and those who had received bursaries needed to have record of passing. Three external bursaries for aquatic science studies had been advertised in the catchment area. Mr Gyedu-Ababio replied that illegal sand mining was widespread. Sometimes front loaders parked on the river bank and helped themselves, which was a big issue. IUCMA technical staff had been threatened with guns before. Mr Basson were interested in the way IUCMA dealt with municipalities. What was the recovery on money owed at present? Did the entity take the legal route if they did not pay? Mr Gyedu-Ababio answered that they held municipal managers personally responsible and that they went with the police to arrest them when debt was not recovered. The Chairperson thanked the IUCMA for a straightforward presentation and wished them well. Opening remarks by Mr Bongani Mnisi, Board Chairperson of the Breede-Gouritz Catchment Management Area (BGCMA), included praise for five elderly women who farmed with great success at a school in George. An unqualified audit had been achieved by the Catchment Management Agency that was celebrating 10 years of existence. Mr Jan van Staden, Acting CEO, BGCMA, said that dams were empty and there were not many days left for the dams to be filled. On the way to Worcester, one would notice that the river was clear and the Agency wanted to expand on that. Universities were assisting and he compared the way they helped solve problems to living in a laboratory. Ms Zanele Mngoma, CFO, BGCMA, presented the financial statements. Assets were exceeding liability and the BGCMA was trying its best to reduce the deficit. There had been fruitless and wasteful expenditure because of a penalty for late payment of tax to SARS. At that time there had been a choice between paying SARS or paying the employees. Mr Basson asked that the Department made sure that Mr Khan attended the meeting the following week because there were a lot of questions for him about the Rust in Vrede pipeline to Dysselsdorp and the Blossoms Pipeline to Oudtshoorn. The project had started and the funding for it of around R80 million, had been spread over three financial years. The Department had not budgeted for the second year resulting in a five-year delay. How was the problem going to be rectified and what was the effect of that delay? The Chairperson had been pursuing the issue on the turnaround time on applications of water use licenses. Were there systems in place that could track the process? The eyeopener for the Chairperson had been the farmers on the Sunday’s River and he had a sense that a lot of things happened behind the scenes. Was the issue one of capacity or why were processes stalled? Ms Baker said late transfers from Department were affecting the ability of entities to carry out their duties and were a problem. Comment was needed. Mr van Staden answered that there was deep underground water in the Oudtshoorn area and the BGCMA was involved in the licensing process. The cost of that pipeline would be over R100 million which had to be split between the Department and local authorities, that did not have funds available. There were also technical problems with the variation of pressure of the water. Oudtshoorn was under water restriction, but it had rained two weeks previously. Regarding licenses, the Agency had 270 days to recommend to the Department, which had another 30 days in which to make the final decision. All new applications went through the end-user license agreement (EULA) system that would send a signal to a supervisor if there was a delay and that was big improvement. Mr Basson said he had a full report on Oudtshoorn that he had just sent to the DG and he would like that to be investigated. The Secretary of the Committee reminded the Chairperson that the Department had not responded on delays in transfer. The DG said it should not happen. He would investigate. On a lighter note, Mr Basson said the norm was late payment and then joked that it was a "red light" note.